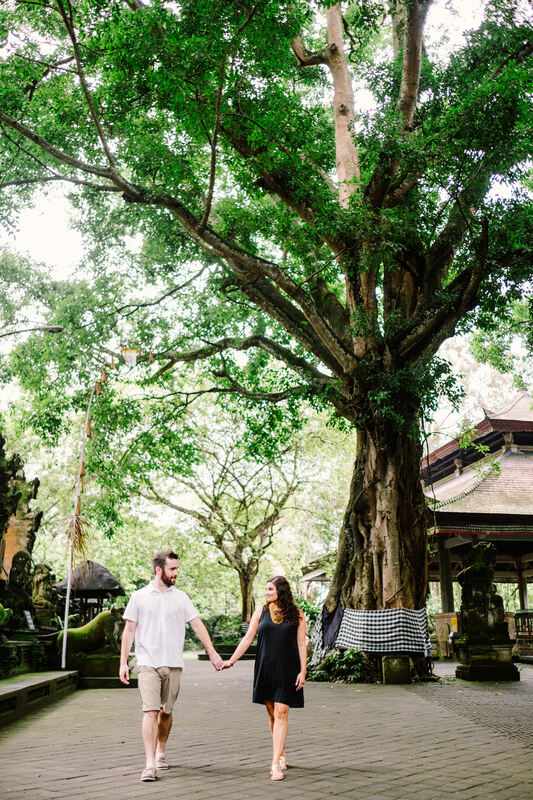 Bali honeymoon photography in monkey forest of Stephanie and Ty. 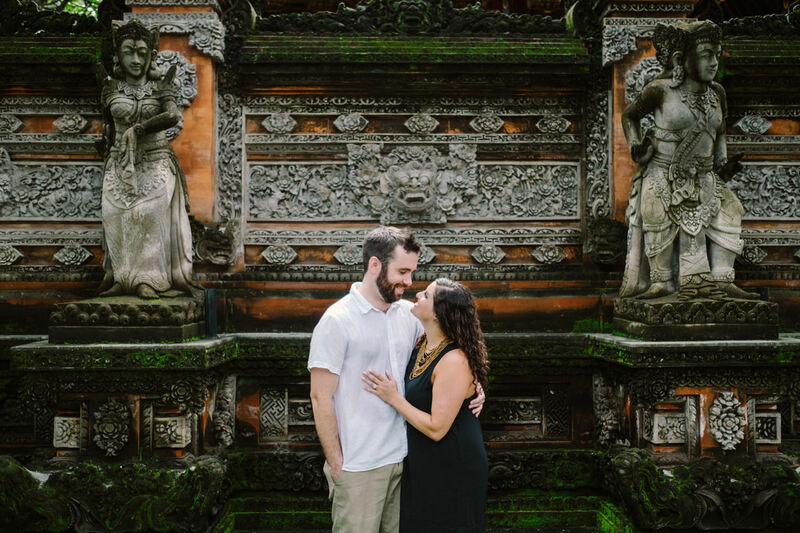 We were very excited to receive an e-mail from Desiree who wanted to give her friends that recently got married a photography session with us. 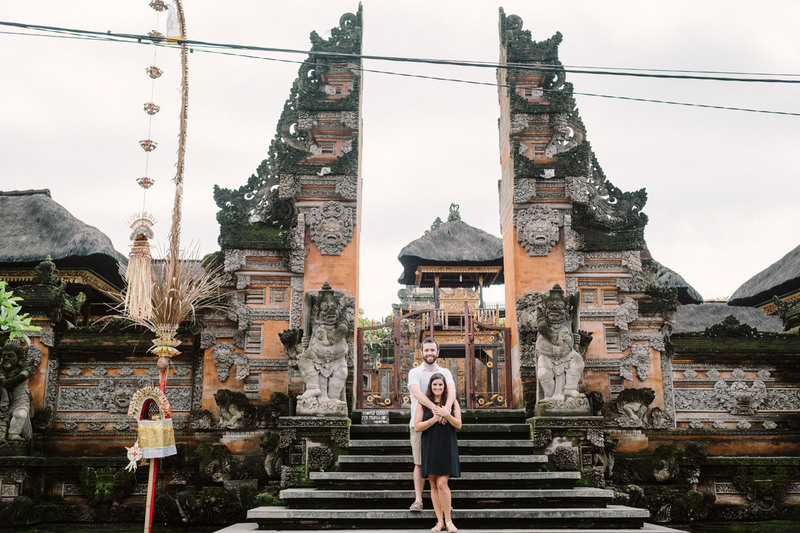 The newlyweds were having their honeymoon in Bali. 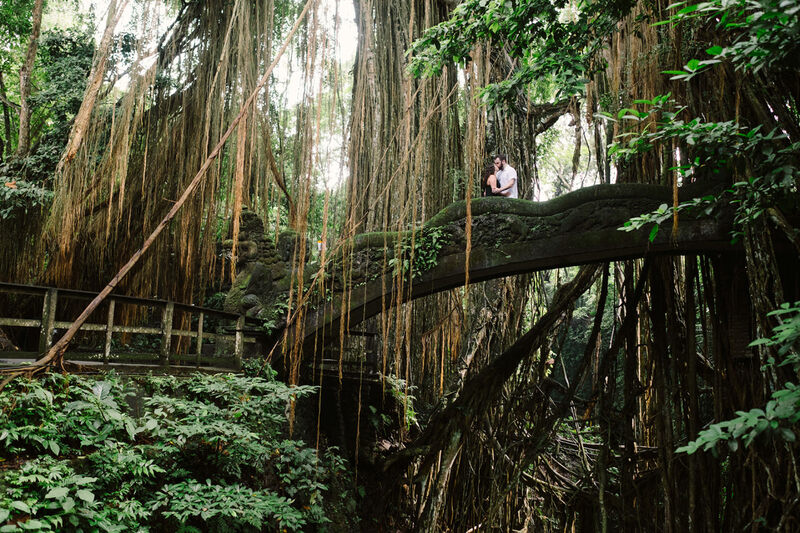 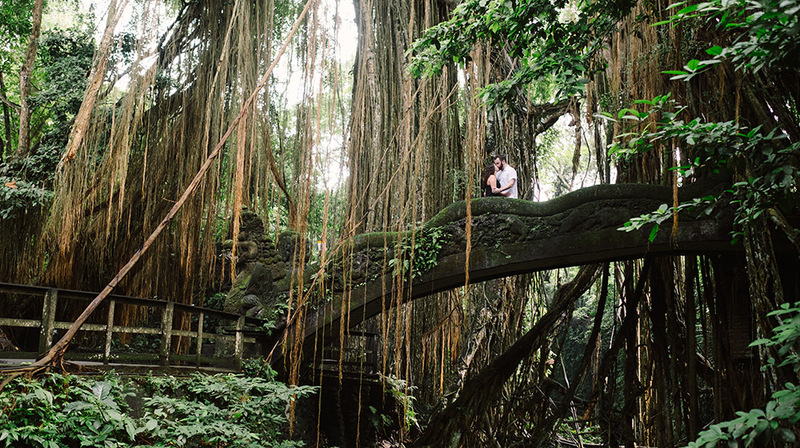 When we contacted thee lucky couple to have their Bali honeymoon photography in monkey forest taken, they were beside themselves with excitement. 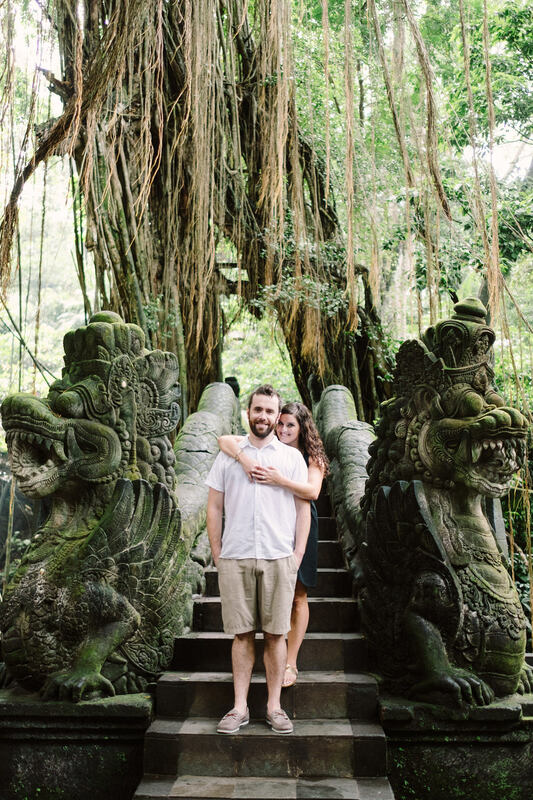 The newlyweds wished to have their pictures taken with the mischievous monkeys at Monkey Forest Ubud. 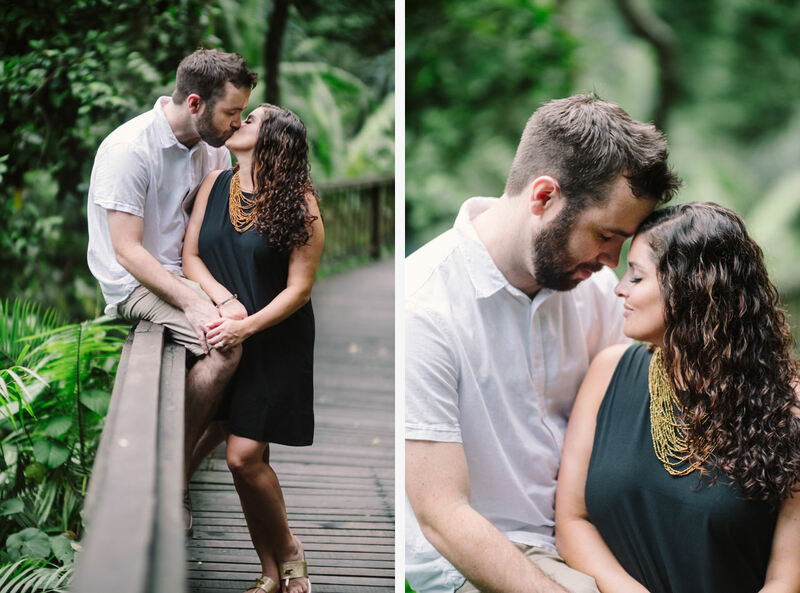 Stephanie and Ty was a lovely couple. 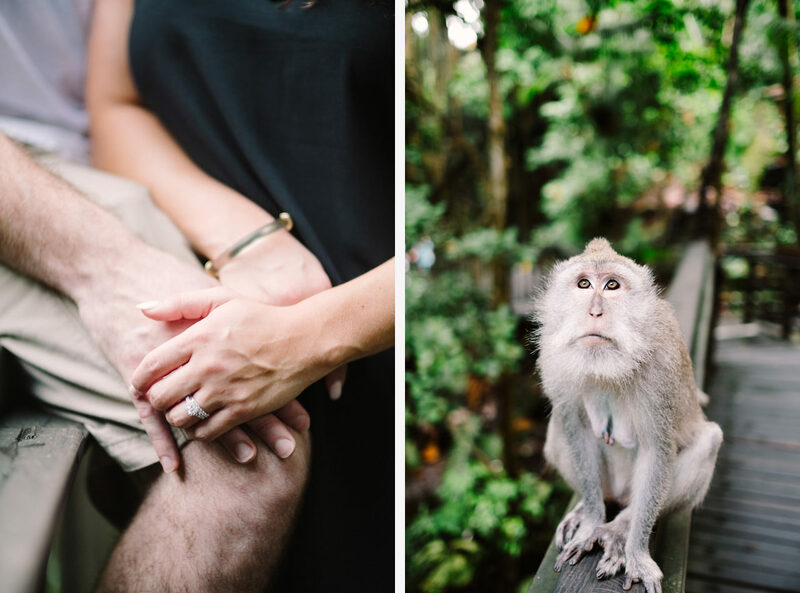 As always, the leafy green forest and its cheeky inhabitants provided a very interesting point to work with. 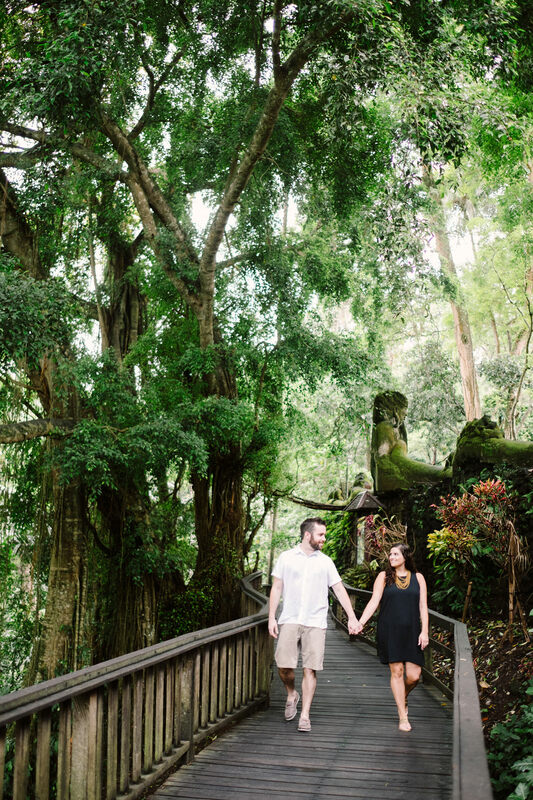 The couple was very relaxed and we had a lot of fun during the photo shooting. 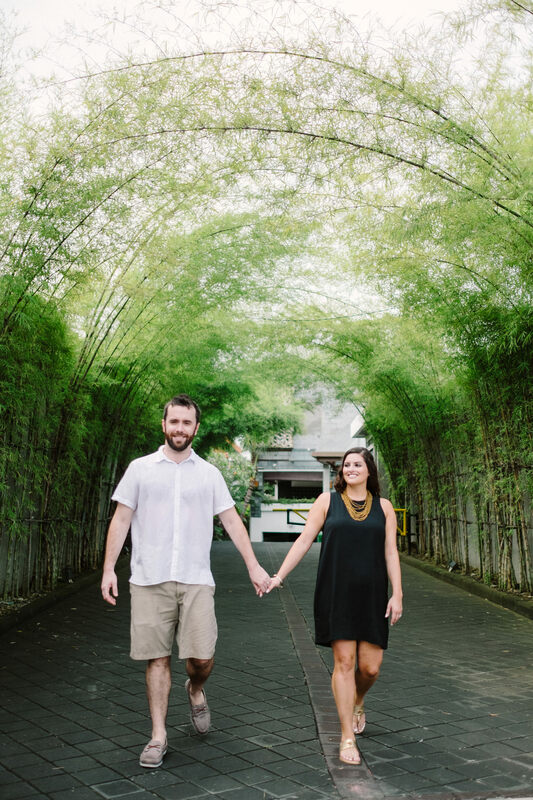 We also asked them to walk around Ubud and posed in some of its picturesque corners. 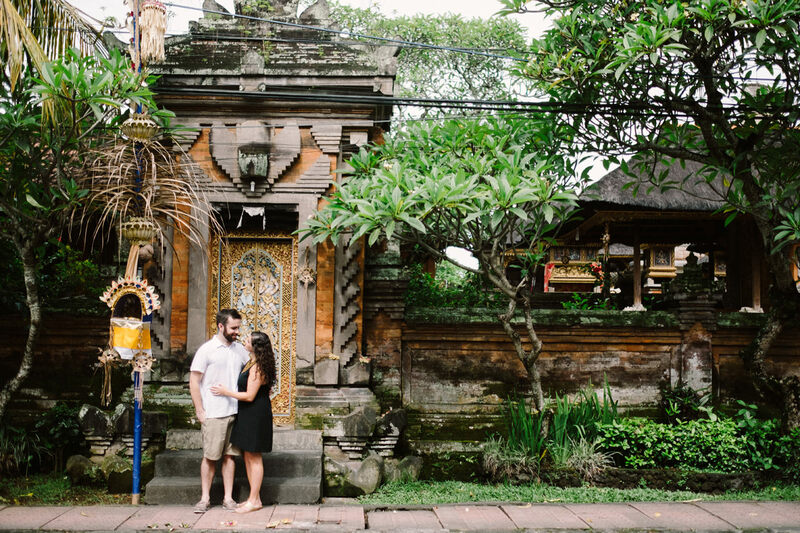 Balinese culture and Ubud were visible throughout their pictures. 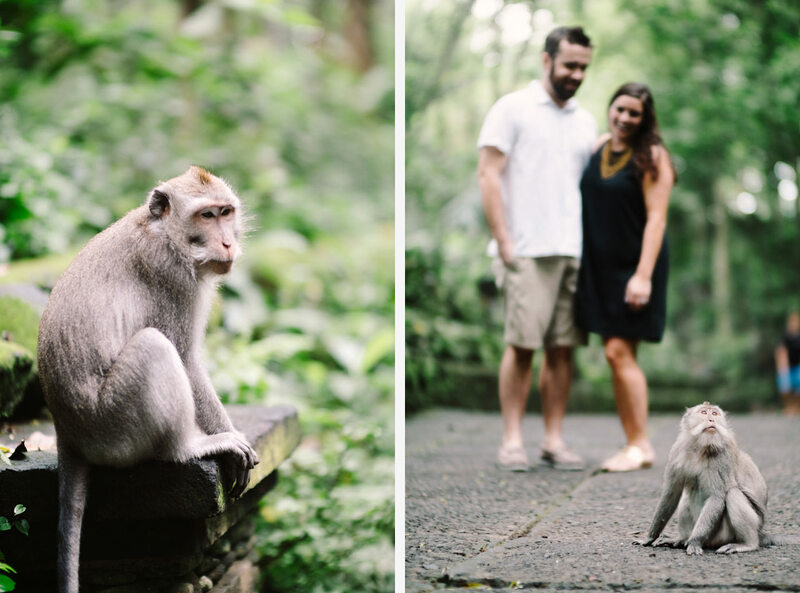 We hope some years from now, Stephanie and Ty would look back at these pictures and remember their time and the romantic Bali honeymoon photography in monkey forest session fondly.